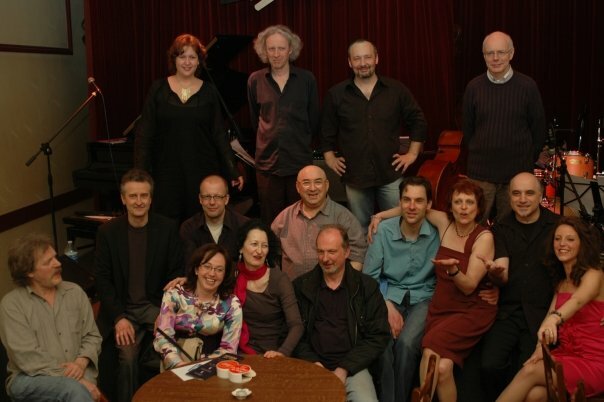 Radoni's Tribe and guests after the release concert of the album Let me hear a simple song. Front : Frank Wuyts (kb, p), Naima Hermans, Christine Schaller (voc. ), Peter Hertmans (gt). Sounds, Brussels, April 3, 2009. Photo © Bernard Rosenberg.